Trade as usual and get back 50% of paid spread and commission. Available for those who don’t have active deposit credit bonus. All you need to do is switch your real trading account to the “Cashback” service. In order to activate the «Cashback» option login to your Trader Room and proceed to the “My funds” section and choose tab “Bonus offers”. Click on button “Get rebate bonus”. No active credit bonuses on current trading account. Account is not registered under a partner account. MTP (Minimum trade points) terms are applied for bonus programs for all account types. 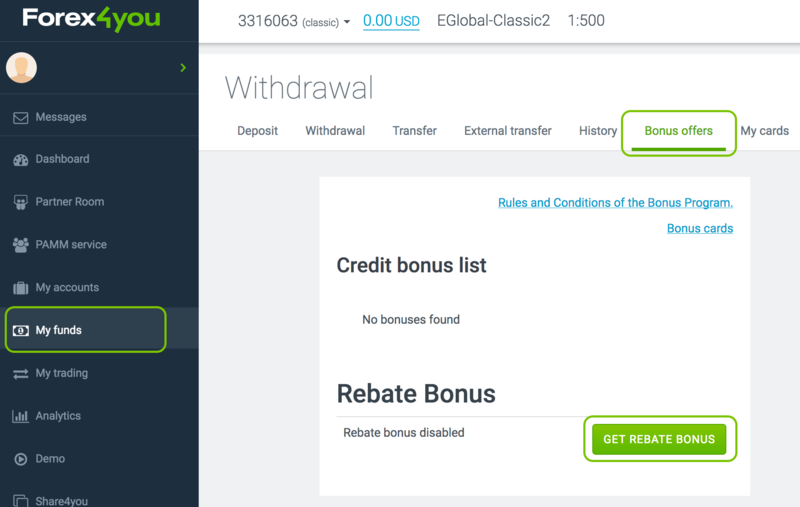 Deposit credit bonus is not available with active Cashback program.